TReGo is a door-to-door solution! Use it to take your heavy items with or without your bike. As a standalone trolley use it to transport heavy items with you where your bike can't go. TReGo is the most practical way to transport heavy bags or bring groceries home on your bike, it's never been easier. Once connected, you will carry all those things with the ease on your bike. The revolution lies in the TReGo's multi functionality, because it is the only trolley that can be attached to a bike. To just about any adult bike. Your bike, in seconds! It's really that simple. The FAST-Connector was developed with practicability in mind. We wanted a mechanism that will eliminate the need for tools when attaching or detaching the TReGo Trolley to a bike. Plus we wanted a connector that would enable just about any adult bike (26in or larger) to be hooked up to TReGo. Now for the first time, there is a practical and cost efficient solution to solve your transportation challenges. 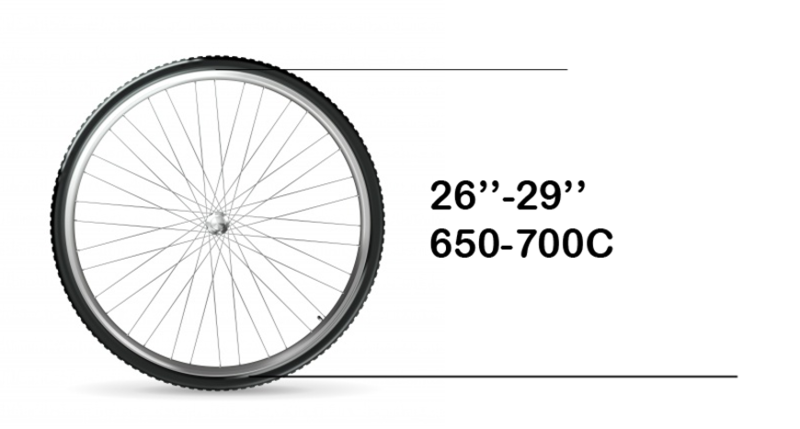 Since we are replacing the front wheel of the bike with the Fast Connector, the front wheel brake will also be disabled. To ensure the highest security, TReGo is equipped with 2 hydraulic disk brakes. TReGo's brake lever can easily be transferred between the the bike's handlebar and the trolley's in seconds. TReGo is compatible to just about any adult bike. As long as they have a standard fork (forks with and without suspensions), made of steel or aluminum and have a standard dropouts. TReGo fits bikes with all kinds of brakes. Forks with through axle (TReGo Connect). TReGo FIX is working with a through axle. Our FAST-Connector is designed to fit the majority of forks. 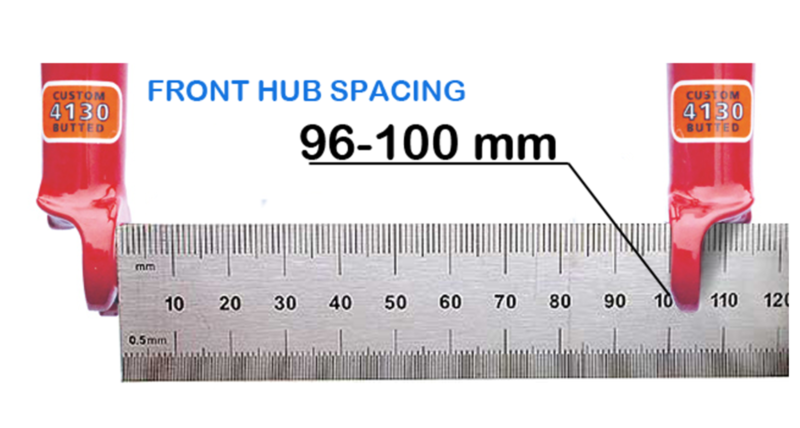 Our product fits forks with hub spacing of 96-100 mm with standard dropouts.